CASE STUDY : Jurgita was one of my very first students back in 2013. She is a Lituanian woman in her fourties working at the European Commission. More precisely at the Lituanian Diplomatic Delegation. A high official diplomat between Europe and Lituania. Jurgita already knew three other languages when I met her. And French was the forth one she wanted to learn, both for her personal and professional life, since French is one of the official languages used for Diplomacy. We had classes together during 2 and a half years, 2 hours a week, every week. She was a very consistent and committed student through time. She rarely missed a class and when she couldn’t make it, she would always care to reschedule it as to not miss any lesson. Stamina and dedication are two of the most important qualities to have when one wants to learn a language. Especially French. And for her, it paid. In total, we had classes for 180 hours after which she had reached B2 level. 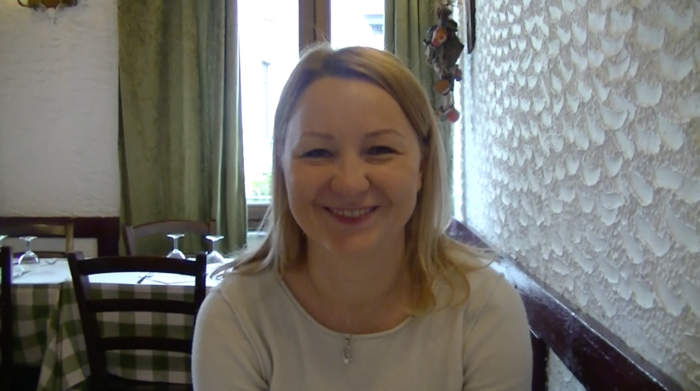 When we were at 140 hours of learning and teaching together, Jurgita went to the Alliance Française to pass an official exam for French language and came back with a B1 level diploma. I was very happy for her and also for me, since it was the first time that my work with a student was validated by another Institution. Today, she enjoys her life in French in Brussels. 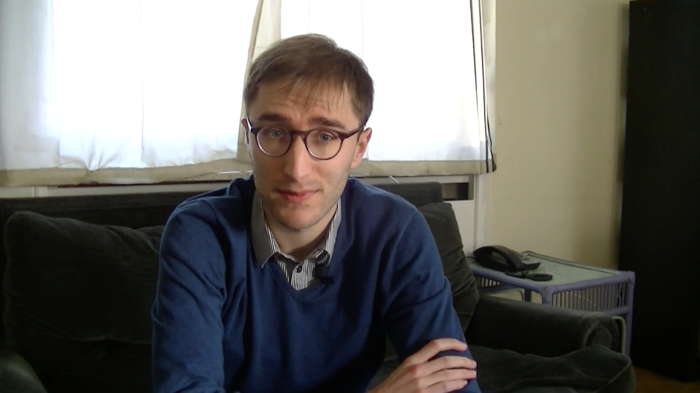 CASE STUDY : Eliot is a young Belgian who lived in England for 10 years. He decided to improve his French to integrate a team of graphic designers here in Belgium and start a career in this domain. He has a lot of talent in drawing and a great sense of humour. Eliot already had a lot of French since he had been raised in Belgium. Still, his pronunciation was difficult to grasp mostly because of his strong English accent. His grammatical structures needed also to be corrected since he applied English structures to French. He has now a B1 level.
. She needed to learn French for her work and to integrate here in Brussels. She is responsible for the social media publications and will soon need to text the world in French about the activities of her organization. As always with Complete Beginners, we patiently started with the French pronunciation and the Beginner’s Essentials (greetings, personal presentation, real-life situations for beginners, etc.). Everything goes great and smoothly with Franzi. 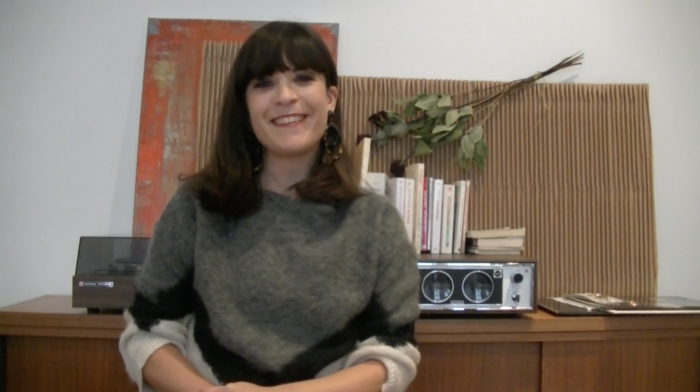 CASE STUDY : Franzi is a sparkling young German woman who lives in Brussels. We started to learn French from zero. She came to Brussels to work for a Non-Profit organization named Care : www.care.org. She needed to learn French for her work and to integrate here in Brussels. She is responsible for the social media publications and will soon need to text the world in French about the activities of her organization. As always with Complete Beginners, we patiently started with the French pronunciation and the Beginner’s Essentials (greetings, personal presentation, real-life situations for beginners, etc.). Everything goes great and smoothly with Franzi. CASE STUDY : Carla is an Italian woman in her thirties living in Brussels. She is a singer, a guitar player, a band leader and a music teacher. She already had a serious level in French when I first met her, she was a High Intermediate French Speaker (B2 level). Still, she needed to perfect her French and be sure of it before taking a position as a Music Teacher in a French-speaking school in Brussels. She needed the big picture of French Grammar. Therefore, we engaged together in a one year study/practice of advanced French Grammar and Advanced French Conversations. We took the problem at the root and patiently revised the entire way French language is structured. Idioms and street French were also part of our program. It was a very pleasant experience to work with her. Her philosophical background, her capacity for abstract thinking and her knowledge in French made it easy for us to draw the big picture of French Grammar she needed. 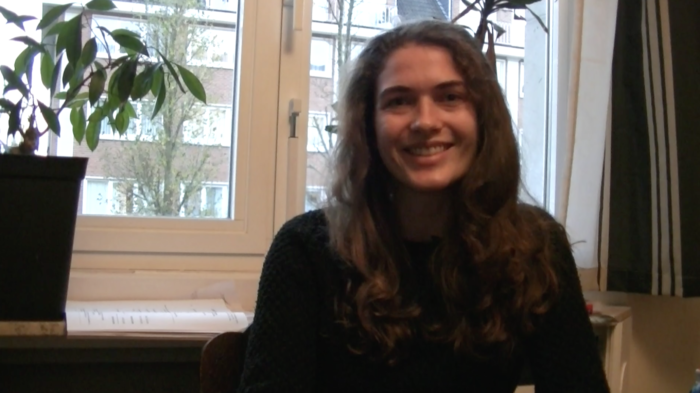 CASE STUDY : Elisa is an Italian woman who arrived in Brussels in 2014. When I met her, she had already jumped into Brussels’ social life, even though she didn’t speak French at all. We started to learn French from the very basics and patiently built up her French. It was not always easy, but because she was exposing herself to French in Brussels all the time, she climbed French levels after French levels from A1 to C1 in less than 3 years. Since she was passionate about music, music was always at the center of our classes. After all these efforts, she now enjoys her life in French and has fully integrated the music community in the capital of Europe. Since our French classes together, we became friends and I often go to her concerts in town. CASE STUDY : Inga is a Lituanian women in her forties. She started to learn French by herself when she was still living in Lituania. The problem of Inga is that she learned French in a wrong way. She learned to pronounce each and every letters of French. And she did that in order to remember how French words were written. This means that she is extremely good at writing French, but also that her spoken French is simply a collection of fossilized mistakes. It took us some time to identify and understand the reasons of her pronunciation mistakes. And it took us even more time to correct her French pronunciation. Fossilized mistakes are the most difficult ones to change. They became second nature. But since she is working hard to make her French better, she is progressing the right way. “I started learning French with Gil’s Classic French Academy as an almost beginner – I had done some French previously. What I really like about Gil’s approach is that he starts teaching with the pronunciation of the different sounds in the French language, which is so important to this language. Gil made me realise how fundamental sounds are to the correct speaking of French and understanding it correctly. I am now really in tuned in the sounds and can therefore understand the words better and learn the language quicker. It’s a brilliant method! I highly recommend Gil as a teacher – it’s so clear that he has put a lot of effort and thought into his academy and methodology. I am really impressed and happy to have found someone with this kind of care for language learning. Gil is very proud of what he does and how he does it, and quite rightly so!” (Google Review). CASE STUDY : Katarina was one of my online student in 2018. She is a Slovakian woman in her thirties. She was living in Brussels but we had classes online on saturday morning. She was a Complete Beginner who already tried several times to learn French before we met. With Katarina, we immediately connected on a philosophical level. She loves philosophy, I love philosophy, French grammar is philosophy. We connected. With Katarina, we started with the pronunciation of French language. She was mastering it after 2 hours only and we were both excited to learn and teach French with each other. Unfortunately, the Brexit happened. And her husband had to go back to England. She had to quit her job and stopped to learn French since she didn’t need to learn it anymore to stay in Belgium. We are still in contact to this day. She is now running a Health Coaching Business in England and helps people to have a healthier life. Maybe one day we will restart learning French together. CASE STUDY : Rowan is a natural born traveller. He’s been in so many countries. He is from Scotland and has been living in China, Australia and Belgium for 5 years each. At the time I write this case study, he is now travelling in China again. His thing is to go live abroad in order to learn new languages. He picks a language he wants to learn and then he goes to live in a country where the language is spoken. That time, he chose French language and came to work for a big company here in Belgium. When I met him, he was already speaking a A2-B1 French. We had French lessons for a couple of weeks before he took his next plane. Helenne was for me one of the most important lessons I learned during my career as a French teacher : I had class with her only for one hour and it was a success. Helenne was a Flamish woman in her mid-thirties. She was a friend of another student of mine at that time. She contacted me by phone to ask for some help with her French. But to my surprise, when we spoke on the phone, I soon realized that she was speaking French perfectly. Absolutely no mistakes! She was a perfect, complete, bilingual French speaker! At first, I thought it was a joke. But she was insisting that it was not and that she truely needed some help with her French. Her problem? An unfounded-negative-self-perception coming from some past people’s mokery. Because of that, she was truely believing that her French was broken, when it was not. She had been raised with French language as her second mother tongue, like many North Belgians. How could it be wrong ? I said that I would need to think at her case and will call her back in few days. I was stunned by such wrong self-perception. Nonetheless, I quickly took the challenge seriously and called her back, several days later. During our first conversation on the phone, she had told me that her dream was to found her own NGO for Sea Protection but lacked the money to do so. I proposed her to come for a one hour role play in French at my place. I would play the role of a rich Emirati willing to invest in her NGO. She would then have to defend her project to get the money. She took the challenge and prepared for the interview. Few days later she was in my living room answering the business questions about her project. A bilingual level French conversation that only a bilingual speaker could have had. She defended her project perfectly as I knew she would. At the end of the hour, I stopped the class and asked her how she felt. -“Worried by my French”, she said. -“That… I can speak French…”. She left my house thanking me, happy. Her problem was solved. It would have been inefficient to say to this young lady, the first time I had her on the phone : “But trust me! You don’t need any French lesson. You are bilingual already!”… Because she wouldn’t have believed me. She needed someone to reverse-engineer her problem and create a situation from which she could conclude by herself that she was actually a great French speaker. Thanks to Helenne, I know now that when my students express strong self-doubts about their capacities for French, my mission is not to convince them that they are wrong, but to create the practical situations from which they will be able to reevaluate themselves, rightfully. Psychology and empathy for others’ are keys when you teach. ABOUT STELLA : Stella was a young 21 year old woman when I met her in 2017. She was studying Project Management at the University and showed leadership qualities right at the beginning of our French lessons. She was a proactive student who always knew by herself what she needed to progress with her French. During our lessons, she would say what she wanted to learn in French and I would only deliver the content of the course. It is a pleasure to meet this kind of leading student as a teacher. Being the mentor and my students the heros of their learning is one of the learning-teaching relationship I prefer. More students' reviews are being collected and filmed... Please be patient.